New Orleans Heat are a powerful exciting seven piece band playing the old style traditional New Orleans jazz. 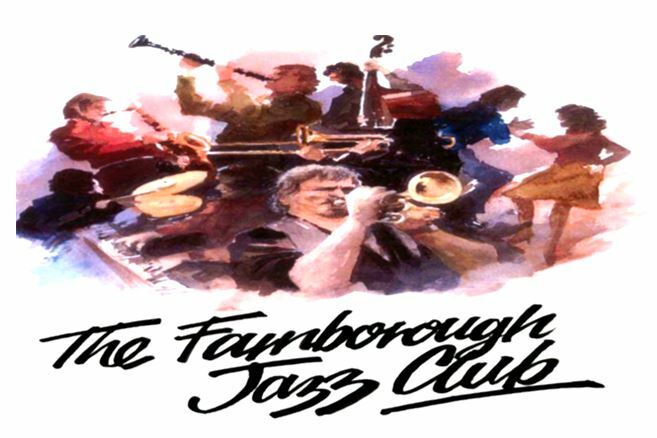 They are a very popular band playing Jazz Clubs, Concerts and Festivals throughout the UK and in Europe. 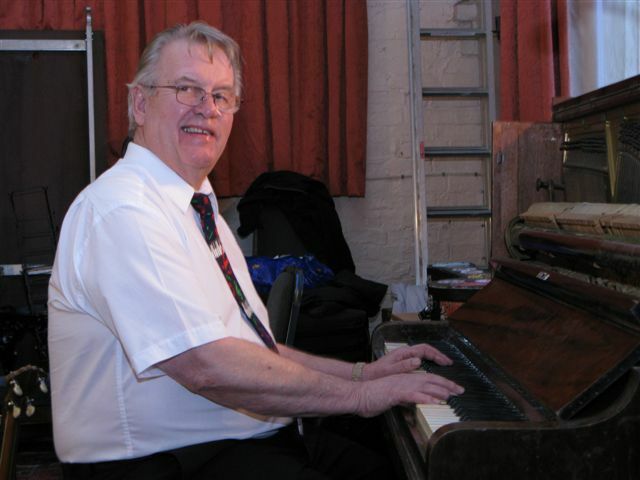 Barry, from Loughborough, started playing solo piano in pubs and clubs at the age of 15 and, inspired by Fats Domino, went on to join rock’n’roll and blues bands. In 1976 he formed his own New Orleans-style band which ran until he joined the Chris Blount Band in 1992. On Chris’ death, he took over the leadership of the group which was eventually renamed New Orleans Heat. His Alton Purnell-style driving piano is a key component in the band’s sound. Photo and details coming soon. John, from Cardiff, played most of his jazz with bands in his home city, but, following his retirement as a journalist, was recruited by New Orleans Heat. A fan of swing as a youngster, he formed a jazz club at his school after going to a Sidney Bechet concert and discovered more New Orleans music via the city’s much-admired Mike Harries band. Eighteen months of clarinet-swotting later he was in the Harries line-up, meeting many New Orleans legends, going on to guest with Cuff Billett and Dan Pawson’s bands and, memorably, playing alongside George Lewis himself (“Just one number and I scarcely had the nerve to blow a note,” he says). Harry has played all over Europe and the USA, including a memorable appearance at Preservation Hall, New Orleans, in 1967, and has backed many of the jazz stars visiting the UK, including Alton Purnell, Kid Sheik, Louis Nelson and Thomas Jefferson. Not bad for someone who started out as a tea-chest bass skiffler at the age of 16. 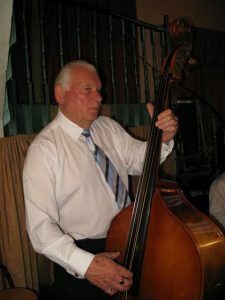 Harry bought his first double bass in 1958 and went on to feature in a number of leading British New Orleans-style jazz bands, including the Les Devotees Jazz Men and the bands of Dave Brennan and Chris Blount, before becoming a permanent member of the Blount band in 1973. Colin, from near Gloucester, started playing drums at the age of 15 and first became interested in New Orleans jazz when he saw the George Lewis Band in Bristol in the late Fifties. 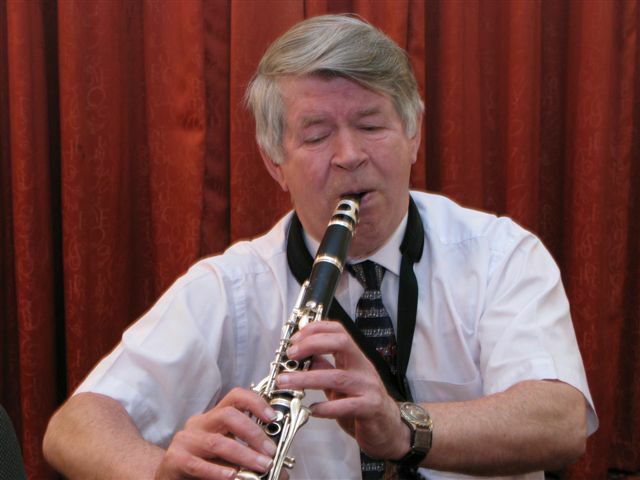 He stopped playing when he was 18 because of work commitments, but resumed in 1978/9 with the Gloucestershire-based Roy Kirby Paragon Jazz Band. 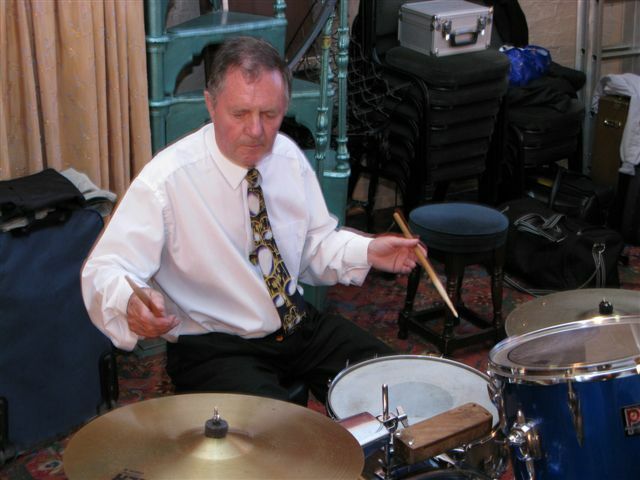 Colin has played with many of the West Country bands and at clubs and festivals around the country and abroad. “I have been lucky and privileged to have met and played with musicians who are dedicated New Orleans players,” he says. “It is such a pleasure to see people dancing and enjoying the sound of the New Orleans music.”.